pieces of apples doused in strawberry keffir topped with orange marmalade. Oh, is it something baked ? 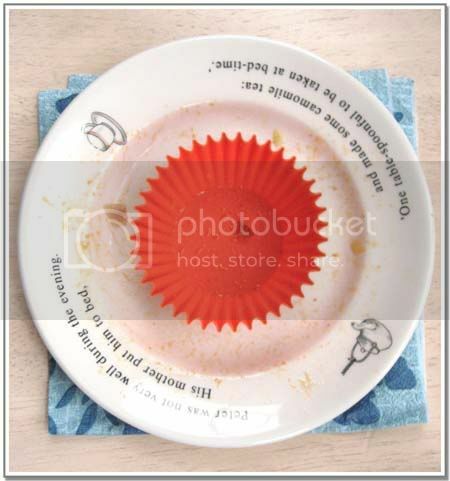 I am sure u would have something intersting to Big Sis S in that lovely cake liner :) The plate looks very cute! I don't think I've ever eaten Nutella. Heck, I haven't even eaten too many apples in the recent past as all are imports and I have my own doubts about their eat-worthiness. I eat only when Indian apples are in season, which is now. 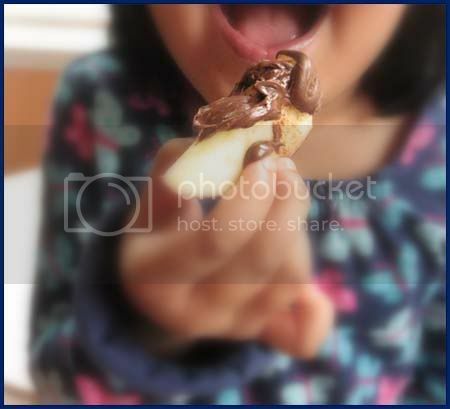 Kids eat Nutella with pancake, bread or anything they can slather it on. I like to eat my plain on a spoon like a lollipop. Straight from the jar! Nutella tastes great on anything but personally, I like them on crepes. I love eating apple with Almond butter. God, this is so mystic Sandeepa. I was planning to write about the way I like Nutella for the last couple of days. Just did and linked your post there. How do I like it? Neat. 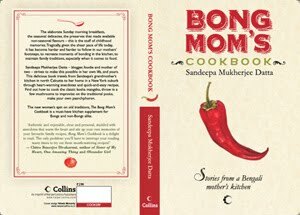 mishti mishti khabarer khub mishti chobi Sandeepa! Did u frost or stuff the cupcake with nutella? I love nutella in baguette! But none in my house ask a share! It is nutella cupcake? or fudge or laddoos.. can't wait! I love nutella with bread, ice cream and gelatin haha It's delicious. And know... I want nutella, see ya, I'm gonna buy. It's a tasty recipe to try not just with apple but other fruits as well.